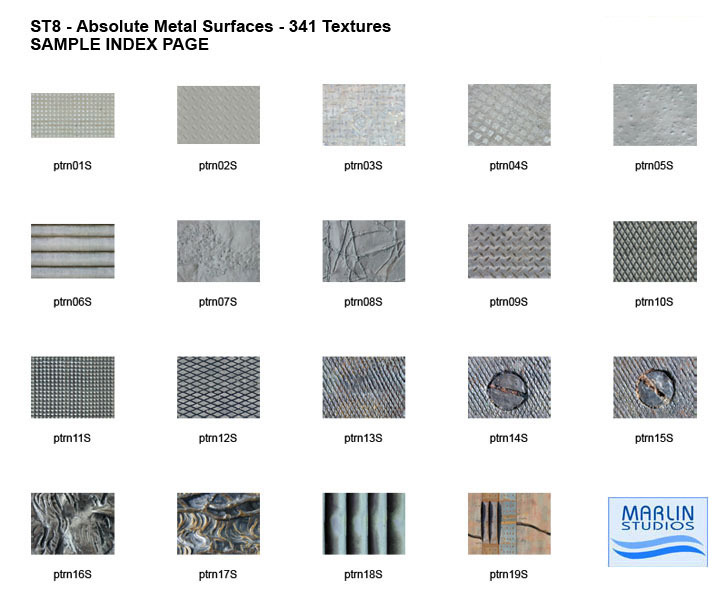 These are just eight of the metals textures included in this library, and are royalty free when used in your artwork. 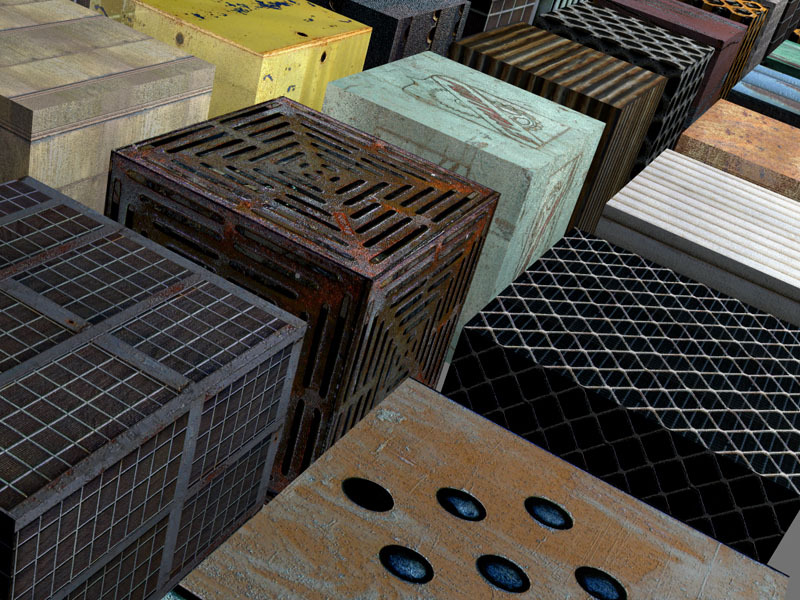 Try out these textures in your favorite 2D or 3D app. 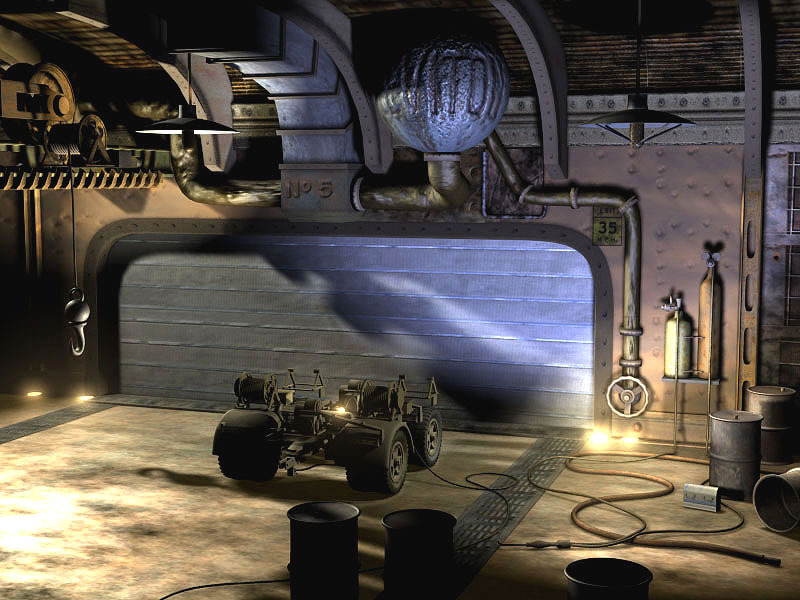 . . imagine the awesome art you can create with a library containing 341 of these textures, plus matching bump maps! 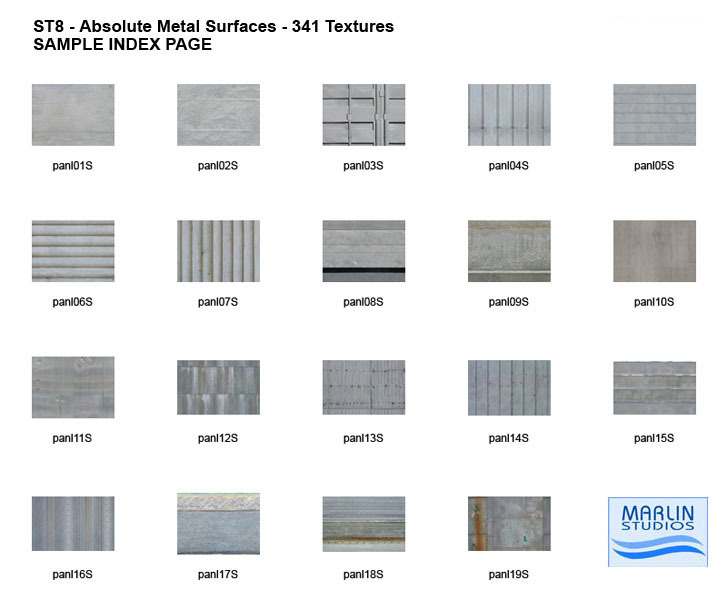 And check out the sample thumbnail pages for a better idea of the content in this library. 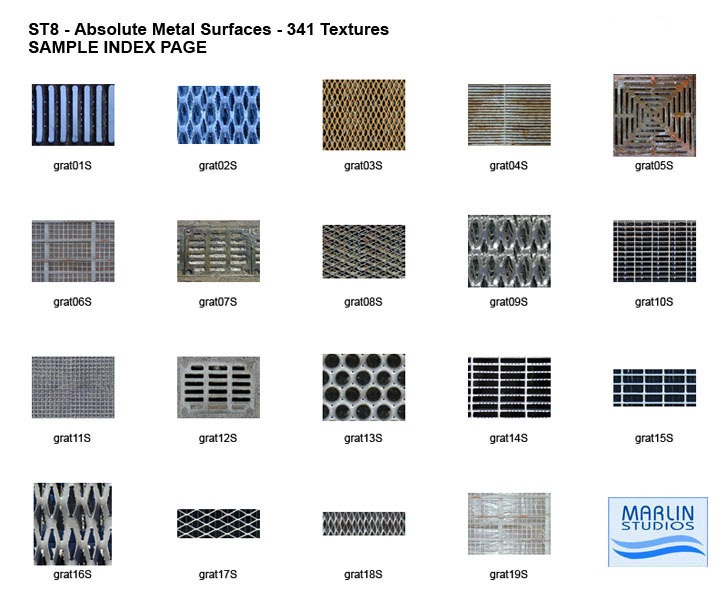 NOTE: These texture samples are royalty free, and we welcome you to use them in your work. 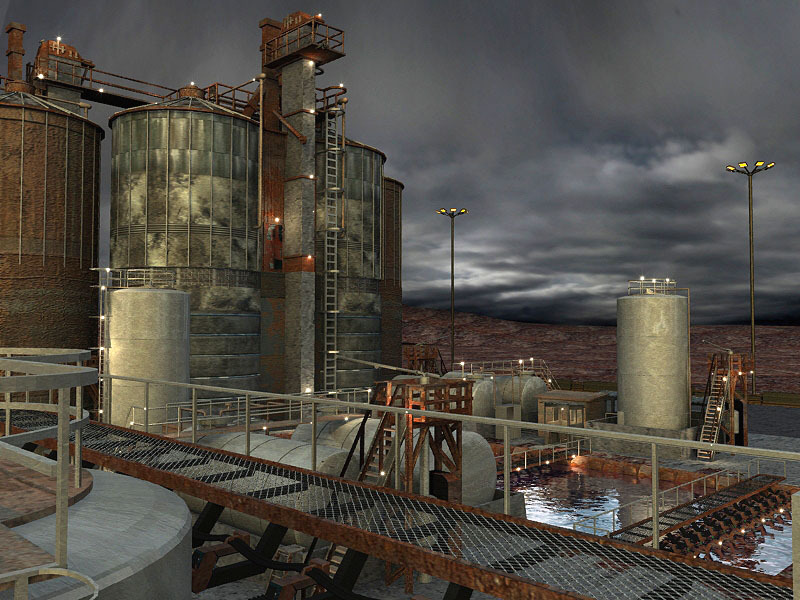 However, our licensing forbids redistribution of these textures in any way or form. For example, don't share these with your friends or co-workers, or upload them to any website. 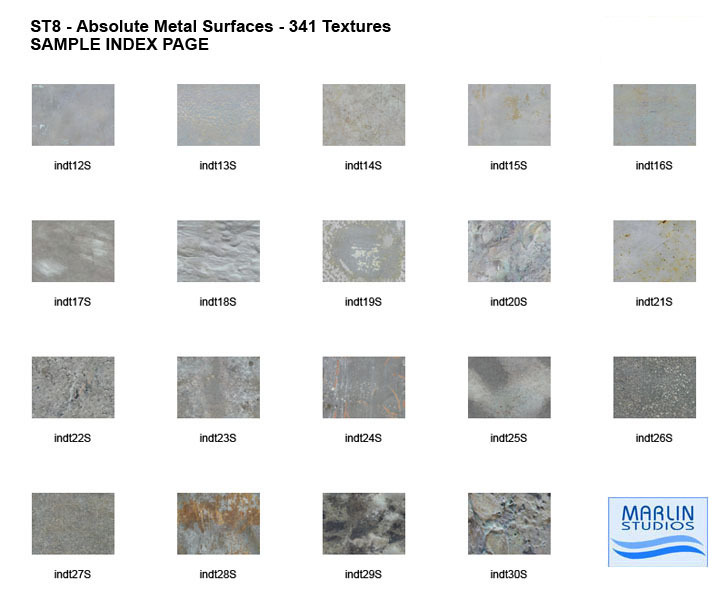 Click on image to download 8 free sample textures.